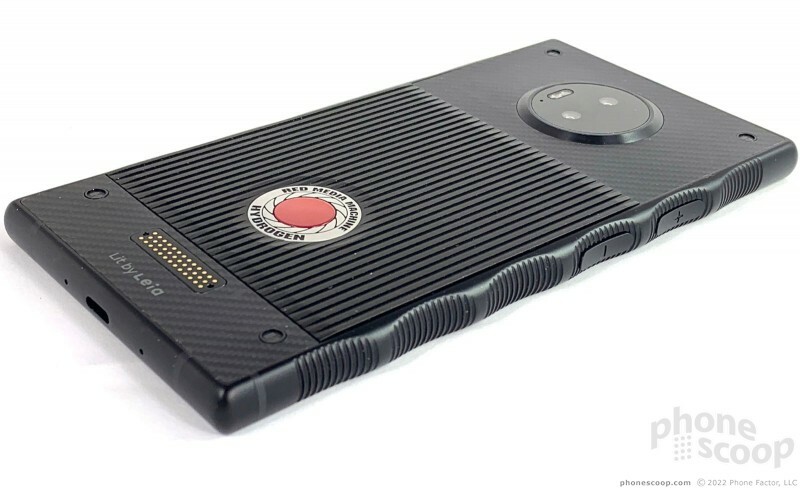 The Hydrogen One from Red is somehow looking backward and forward at the same time. This unique device lets people capture and view 3D content without special glasses. It's for those with cash to burn who are seeking something way, way off the beaten path. Red is a camera company. It's most well known for making digital cinema cameras — the kind used to film movies like The Hobbit. Since most people now use their phone for photography, the best way for Red to get its camera tech into ordinary people's hands was to put it in a phone. And thus we have the Red Hydrogen One. Red's marketing materials make clear that it prides itself on design. 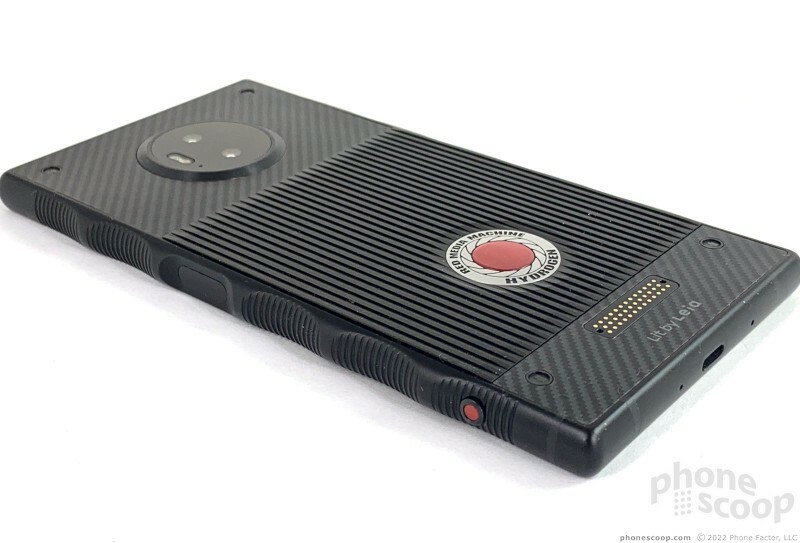 The Hydrogen One certainly has a design: I'd call it Industrial-to-the-Maxism. It's hard to know if I'm supposed to even take this thing seriously. It's brobdingnagian, it's brutal, it's bizarre. 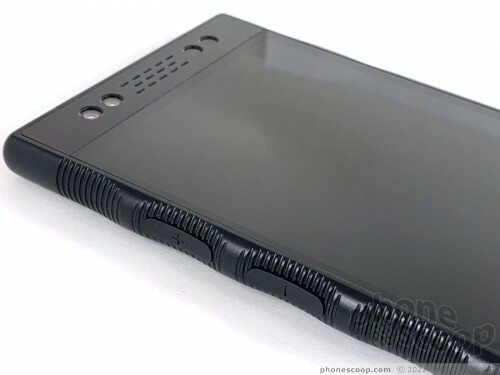 The phone is a massive black slab. I know I put those three words together from time to time, but the Hydrogen One is one of the most massive black slabs I've encountered. I feel like the size is part of the point the designers were trying to make. It's also chaotic. There are different materials, colors, panels, and textures smashed together in a way that hardly makes sense. The aspect that stands out the most to me is grip-like metal frame. 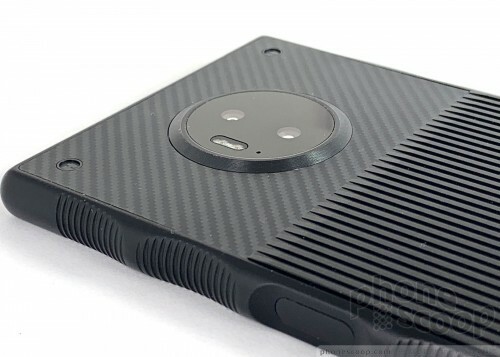 A beefy metal chassis runs along the outer edges of the phone. You'll see several obvious raised ridges on each side that resemble those you'd see on a pistol grip. Sawtooth notches fill the space between the ridges, allowing you to grab hold of the Hydrogen One tightly. It reminds me of the grip on the handlebars of a motorcycle or bicycle. The ridges give the phone a unique, wavy profile. Red fitted a glass panel on front, with plastic inserts at the top and bottom. The rear is formed by a combo of tough kevlar that has a diagonal pattern, and a metal plate with vertical grooves. The look is jarring. 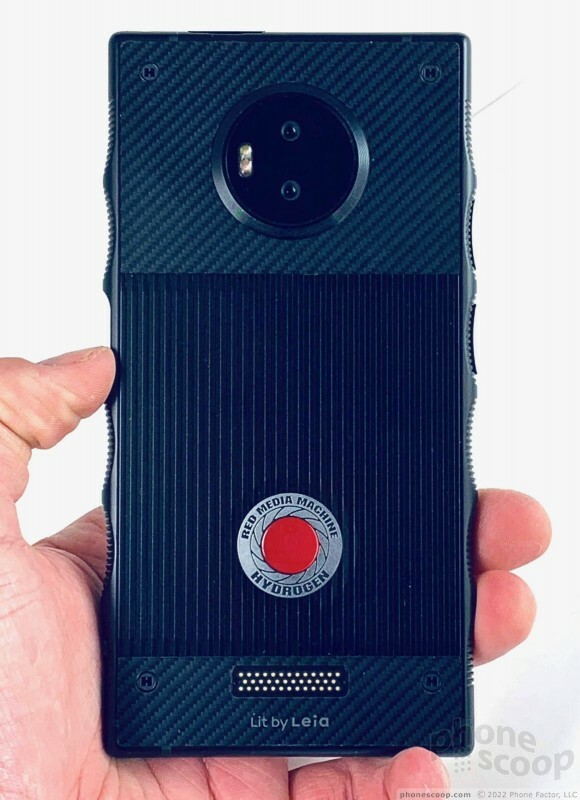 The Hydrogen One measures 6.54 inches by 3.28 inches, making it taller and wider than even the largest phones out there today. It's also a full 10mm thick. 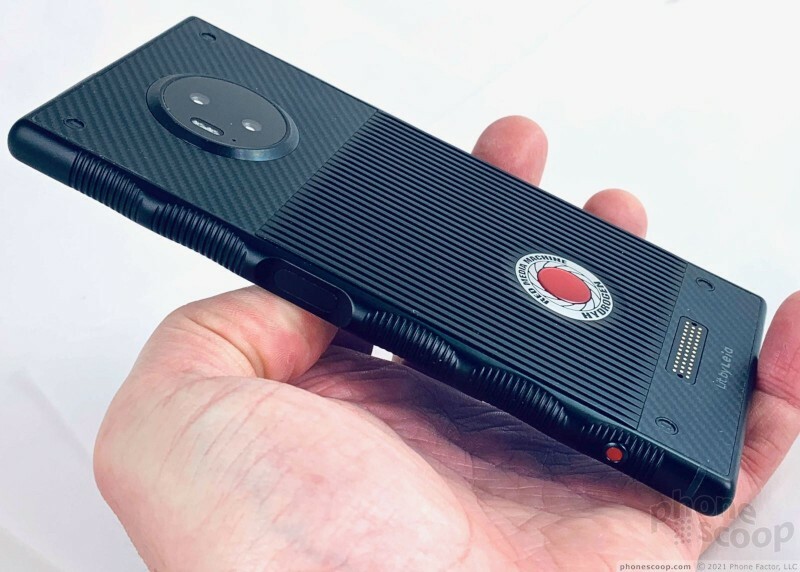 Thanks to the sturdy metal frame and other components, the Hydrogen One weighs 9.63 ounces, or more than half a pound. It's impossible to use this device with a single hand; you need both. 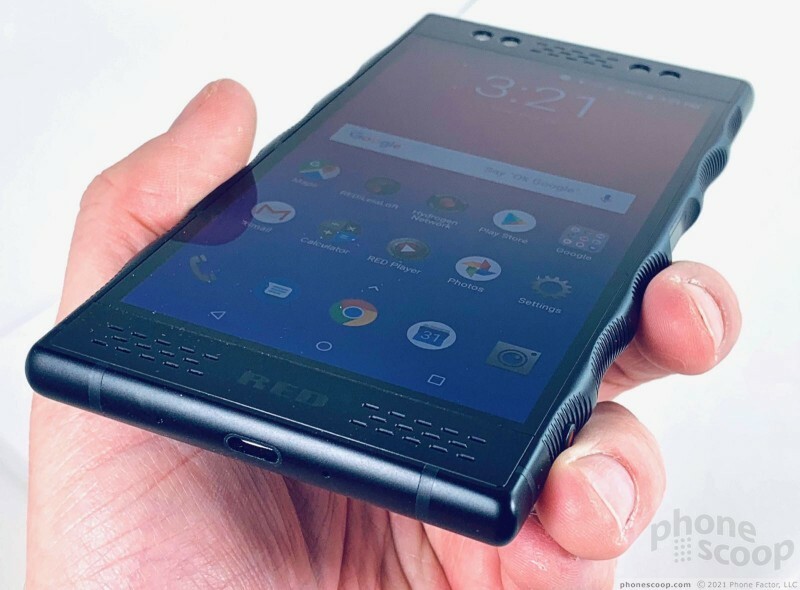 Just looking at the phone's measurements on paper tells me it is big, but nothing quite prepares you for the experience of holding for the first time. Everything about it is awkward. People with small hands will likely not enjoy using the One. The phone barely fits into pockets and — thanks to its square corners — it's not comfortable to carry around on your person at all. The Hydrogen One needs to find a home in a backpack, satchel, or other bag. I don't think you'll find a stronger metal frame on a modern phone. Ten millimeters of aluminum running all the way around the edges gives the One a tank-like appearance and feel. Red makes no specific claims as to the phone's toughness. There is no mil-spec rating and no IP rating for this device. That means it is not impervious to damage. Even so, I'd be stunned if it took any damage in an everyday, accidental drop. As for fit and finish, this phone is nearly flawless. You'll find tight seems between the three flat pieces that make up the front surface, each of which is set into the frame snugly. The three pieces that form the rear are assembled tightly, too. As much as I like the kevlar on the back panel, I can't understand the ridged metal plate. 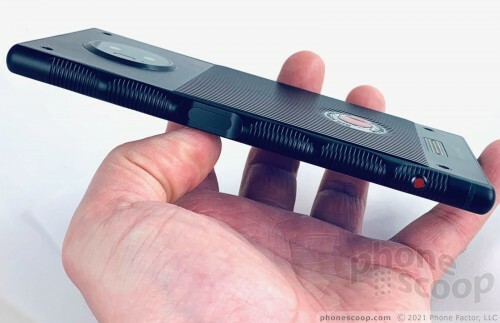 Running your fingers along the ridges make it sound as though the phone is hollow inside. I would have preferred to see the entire rear panel made of kevlar. 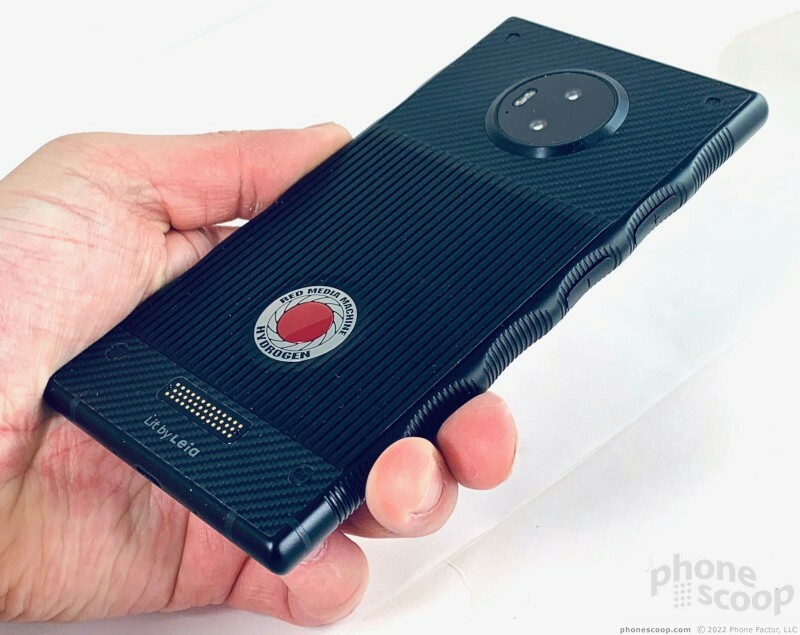 Red first announced the Hydrogen One in the summer of 2017, so I suppose we can forgive its use of the (now) antiquated 16:9 screen shape. 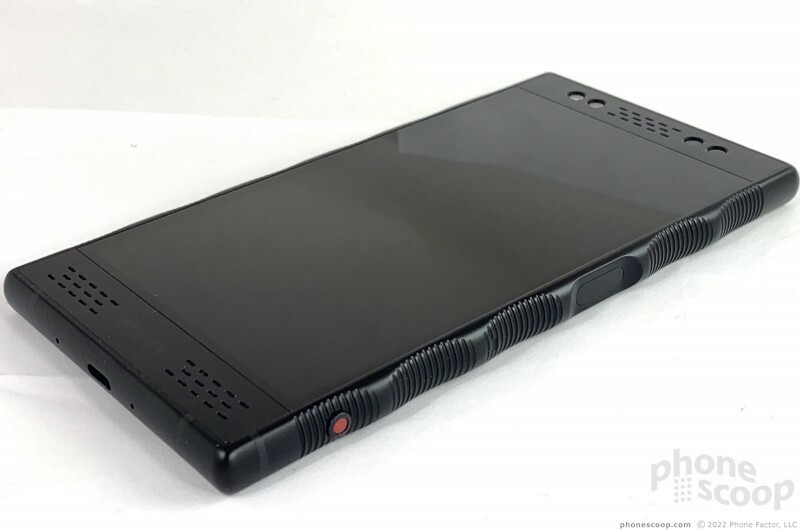 Sort of like the Razer Phone, the Hydrogen's glass is set between an obvious plastic forehead and plastic chin. Four indented circles in the forehead signify the twin selfie cameras (on the left), large indicator light, and sensor. They are separated by a Morse Code-like grille for the earpiece. The chin holds two more grilles and Red's logo etched into the plastic. It's a busy face. The volume toggles are embedded in the grip-like left edge as if they were triggers. Each is made of plastic and settled into its own groove between the ridges. Visually, they're easy to miss, though the smooth texture of each lets your fingers know where the buttons are. Travel and feedback is a bit tight. 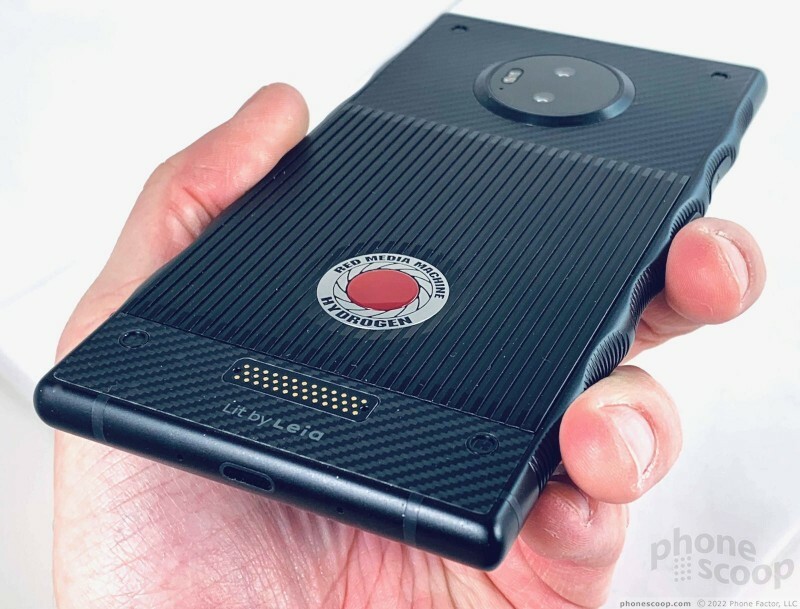 Red went with a side-mounted fingerprint reader on the Hydrogen One, and it doubles as the screen lock / power button. It's more or less centered on the right edge and set deep between the ridges. I found it easy to locate and use, and the button delivers good action. A small, red button at the very bottom of the right side is dedicated to the camera. A long press of this key opens the camera while a short press fires the shutter. This is a two-stage key, but it's very springy with too much travel. I don't like the feedback at all. You have to be really careful to not overpress and bypass the first (focusing) stage. 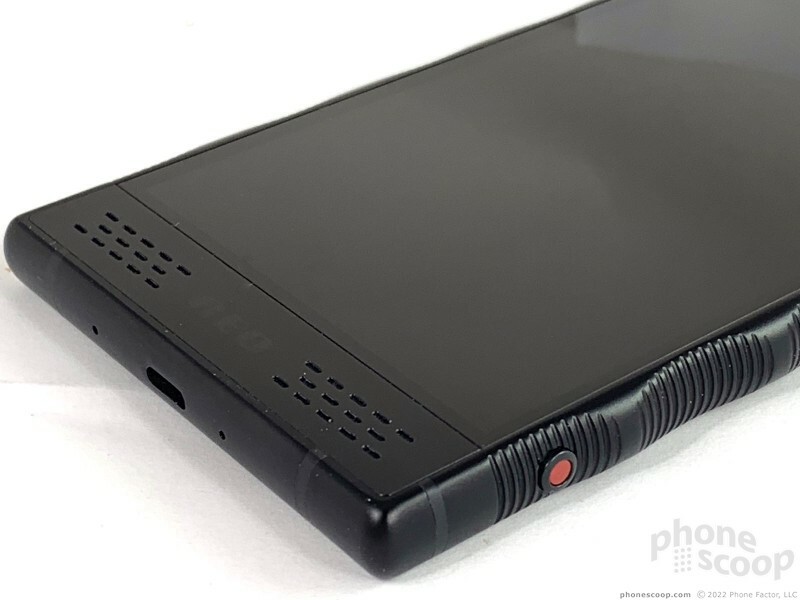 The phone's top edge holds the SIM/memory card tray and 3.5mm headphone jack. I like that you can pull the tray out with a fingernail. The USB-C port, used for charging, is positioned on the bottom edge. Apart from the kevlar and metal plate, three other items stand out on the rear panel: the gold accessory connector, the large Red logo badge, and the huge camera module. The accessory connector will allow the phone to hook up with future add-ons from Red. 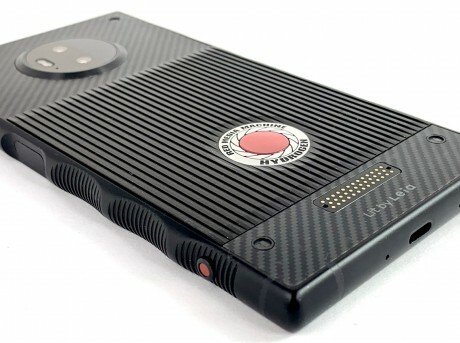 Red has said very little about these potential modules other than that there will be a camera module (with interchangeable lenses), a memory expansion module, and a battery pack module. The mock ups on Red's web site are little more than pencil drawings. These are due to arrive in 2019. I'm not entirely convinced they'll ever materialize. The Red logo badge on the back might look like a button; it's not. The circular camera module is enormous. It holds two camera lenses, the dual-LED flash, and sensors. You can't open up the back to access the battery. 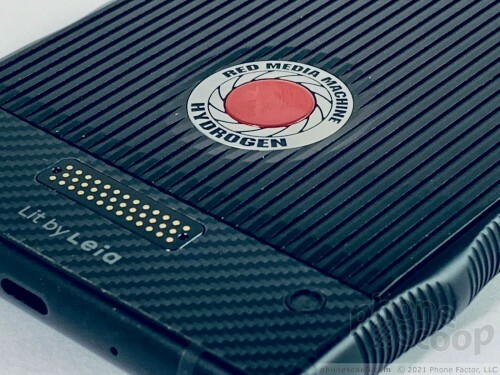 The Red Hydrogen One is one of the most unique phones of 2018, of that there's no doubt. 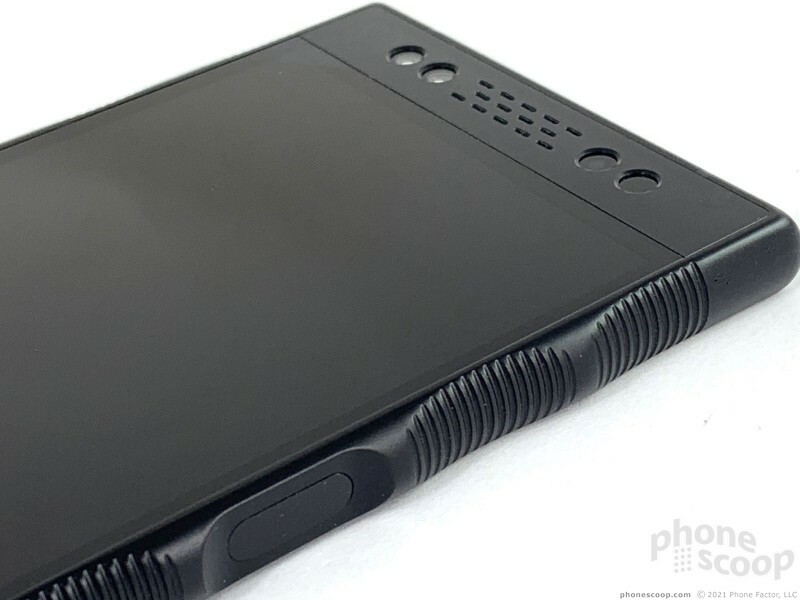 One of the Hydrogen One's selling points is the 3D (what it calls "holographic 4-view") display, but we're going to talk about that later. 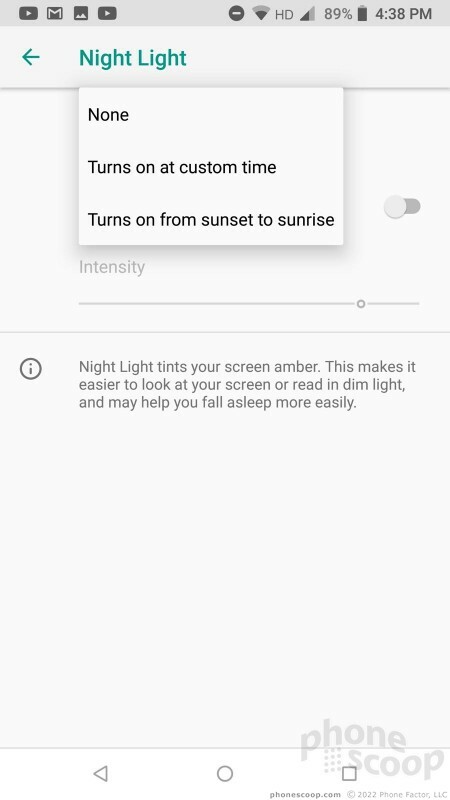 In this section, we'll evaluate how the screen works in everyday 2D mode. The display measures 5.7 inches across the diagonal with quad HD resolution (2,560 by 1,440 pixels). The One's screen is smaller than the ~2:1 screens found in most competing flagships, but still has a very healthy pixel density of 515ppi. Everything on the screen is razor sharp. There are no individual pixels to see anywhere at all. The LCD panel pushes out lots of light. I was very pleased with high-def content from YouTube and Netflix, which looked amazing. Viewing angles are very good, with minimal brightness loss and no blue shift. Colors appear to be accurate. The One has a really good regular screen. 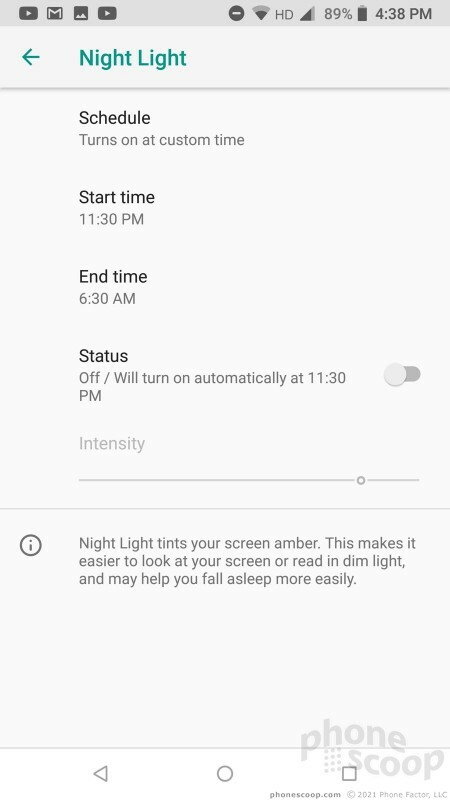 Advanced display controls are, believe it or not, somewhat limited. 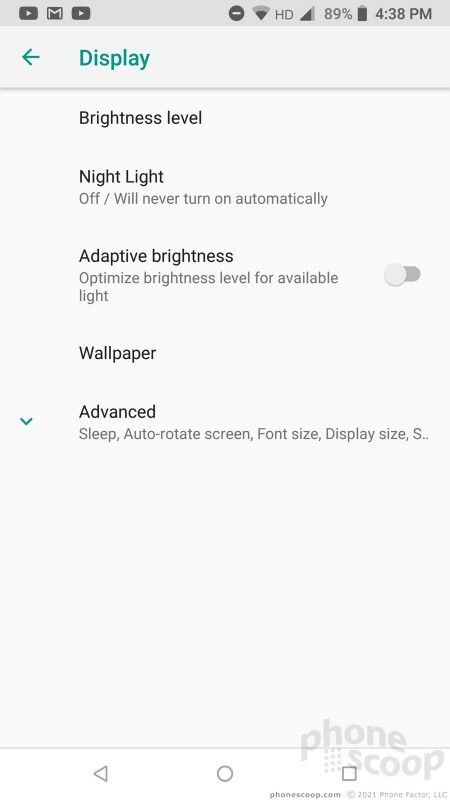 You can manage brightness and the night light feature, as well as font and icon size, but there's no way to control the color profiles. 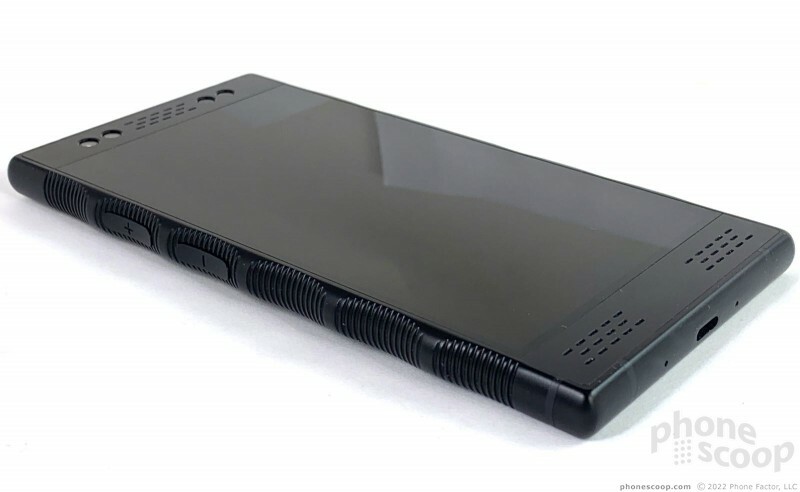 AT&T and Verizon are selling the Hydrogen One, which supports both carriers' LTE 4G networks. Our review unit is operating on AT&T and it did well. 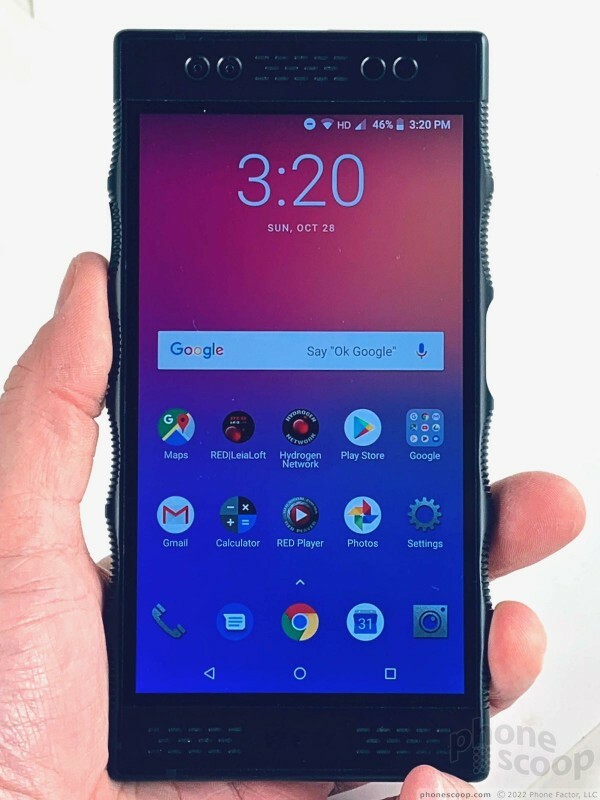 I was able to take it for a spin around New Jersey and found it easily connected to AT&T's network and maintained that connection no matter where I took the phone. The One connected calls on the first or second dial, and didn't drop any calls despite traveling miles on the highway. The phone suffices for everyday use. The Hydrogen One streamed content from YouTube and Spotify over the mobile network with little or no buffering. Playback was generally smooth and free from blips. The One is more than adequate for posting content to Instagram, Facebook, and Twitter. 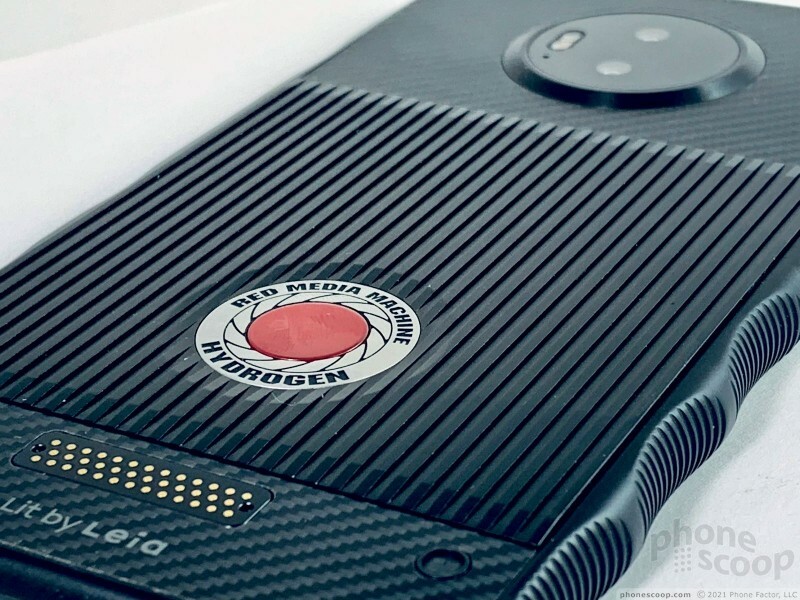 The Hydrogen One is a solid voice phone. The earpiece delivers plenty of sound, allowing you to hold calls in most places without issue. I had no trouble hearing calls in a noisy gym, in the car, or outdoors in the wind. Calls could be a little bit clearer. The earpiece is prone to some distortion, particularly if you push the volume to the max. People I spoke to through the One said I sounded fine. The speakerphone also packs some punch. The boomy space inside the chin creates lots of volume and it travels well in places such as an office, living room, or moving car. Quality is on par with standard earpiece calls, which is to say calls are mostly clear save for the occasional blip. Ringers and alerts are very loud, and the vibrate alert does a fine job. 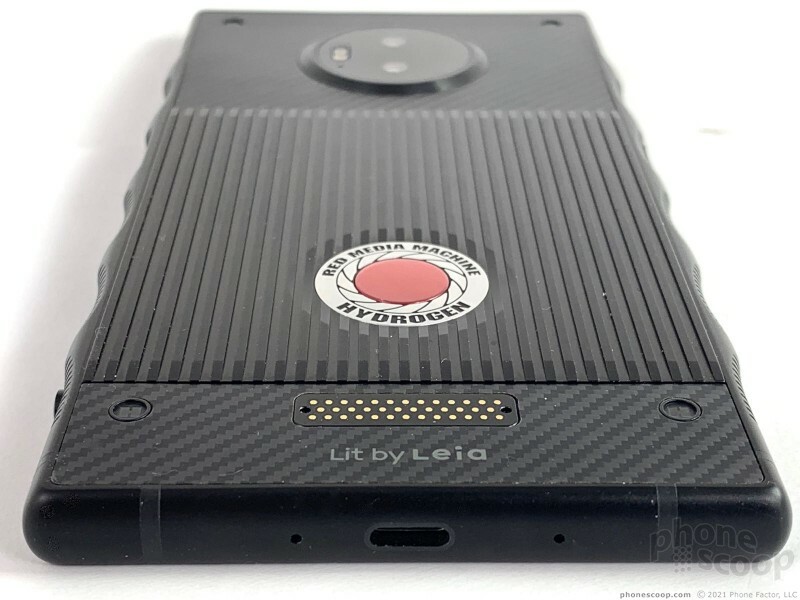 Red says the Hydrogen One includes proprietary A3D Sound. The algorithm from Red purports to take stereo content and transform it into a 3D sound field that "surrounds and stuns the senses." Um, not quite. The One's built-in speakers pump out plenty of sound, but I didn't care for it at all. The sound field is widened so much it sounds as if the music or video track is coming from behind the phone. Moreover, the speakers produce a boomy sound with far too much delay. Honestly, the effect is pretty bad. You can turn off A3D, but doing so has little impact. It narrows the sound stage some, but retains the boomy, delayed playback that just isn't what I want. The experience via headphones is a bit better. You'll get the wide soundstage and reverb-like delay, but the annoying boominess is gone. I think the delay is still overused in the mix. 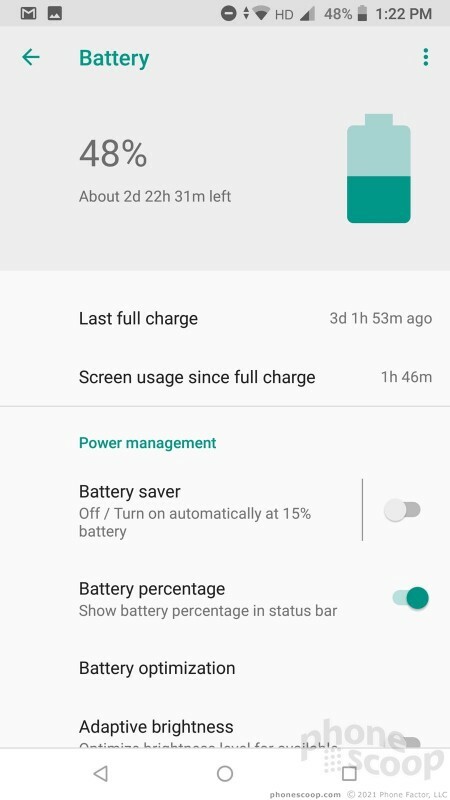 If the Hydrogen One excels at anything, it's battery life. The phone packs a 4,500mAh battery, which is among the largest available from any phone in the market today. 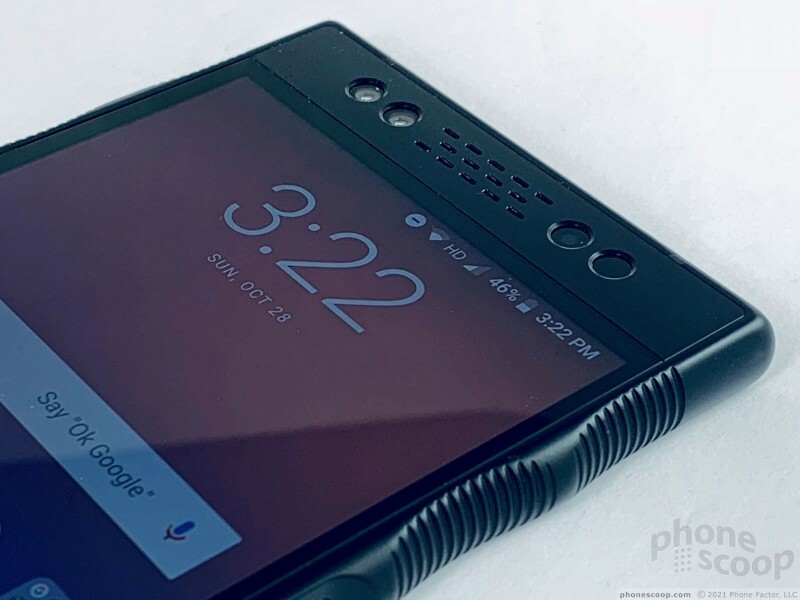 If you're going to use the One as a normal Android phone, you'll find it blasts through 1.5 days with ease. If you use the phone lightly, it may even make it 2 days before you need to recharge. 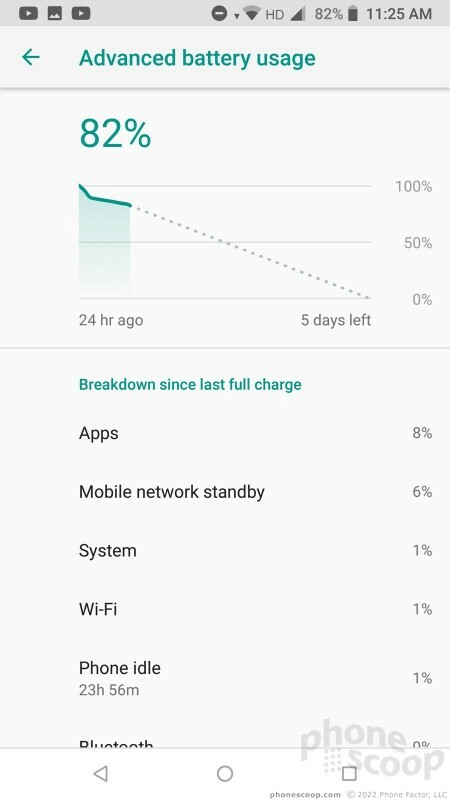 I had a hard time killing the battery. Messing with the 3D content and creation tools on the phone will have an impact, though not as much as you might fear. I spent plenty of time viewing 3D photos and videos, surfing for and playing 3D games, and of course using the camera to capture 3D photos. 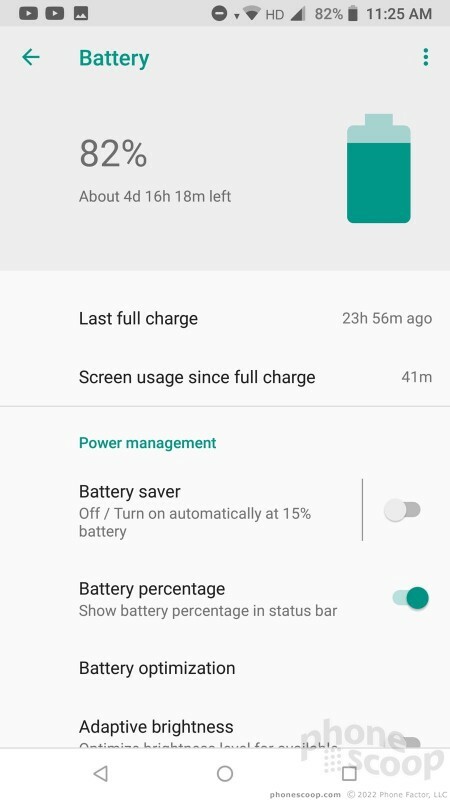 Tossing in several hours of this type of activity dropped battery life from 1.5 days to 1. That's hardly anything to complain about. 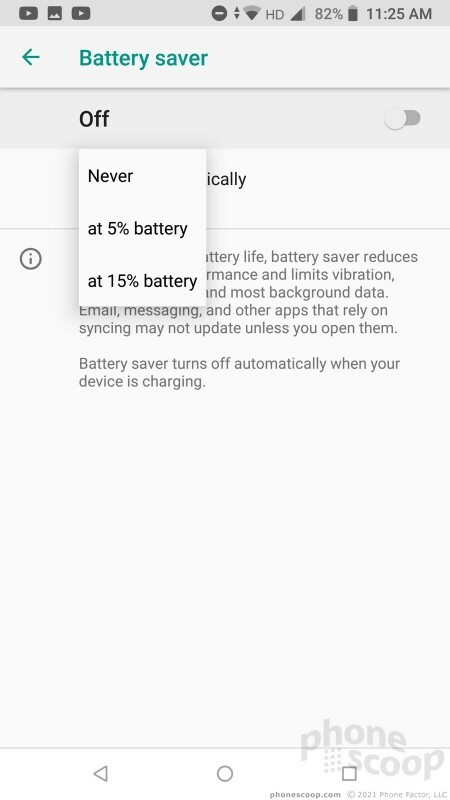 The phone includes only Google's basic Android battery saver app. 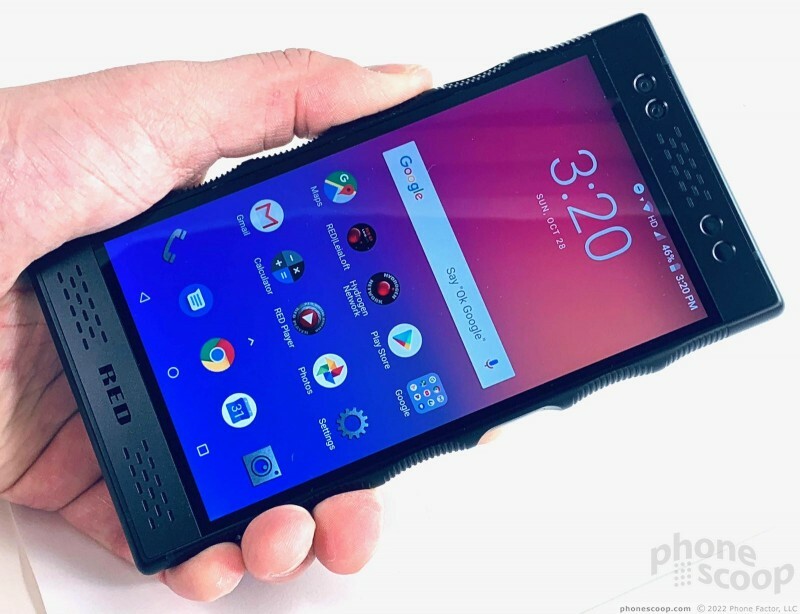 Red says the phone supports rapid charging, but the high-capacity power cell needs more time than a smaller battery would to fill up completely. You can bank on at least two hours of charging time, if not more, when the battery is fully depleted. The One contains a standard set of secondary radios and they all lived up to expectations. Red went with Bluetooth 5.0. The phone didn't give me any trouble when I paired it with my car, headphones, or speakers. The connection remained tight no matter the accessory. Calls via my car's hands-free system sounded very good, while music sent to headphones was decent (the One's A3D processing doesn't apply to Bluetooth). There's an NFC radio buried under the kevlar on back. 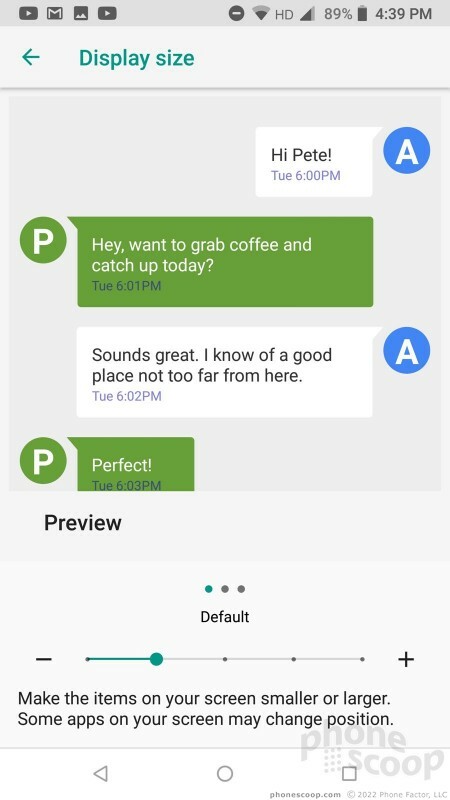 It supports Google Pay and can help with pairing to some Bluetooth accessories. The GPS radio worked flawlessly. It located me quickly and precisely, and served well for point-to-point navigation. I'm glad Red opted for a dual-band WiFi radio with 2x2 MIMO. The WiFi was particularly fast.